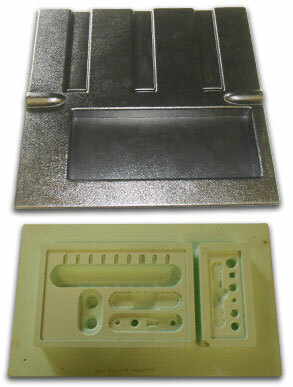 Thermoforming is a low-cost alternative to sheet metal, rotational or injection molding for producing plastic parts. Allows small and large volume production runs which are economically feasible. 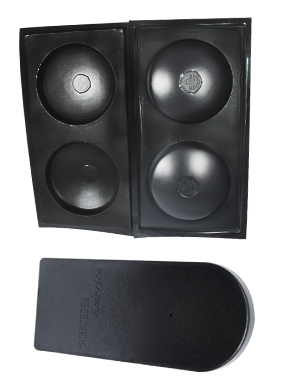 It also allows cosmetics — such as embossing— to be molded into the part. This process allows branding on all products. Allows for the use of advanced plastic extrusions. Efficient and cost-effective way of producing/manufacturing large plastic parts. Lead times for tooling and production are usually much shorter than other processes. Usually allows for easier and lower cost mid-run design modifications. 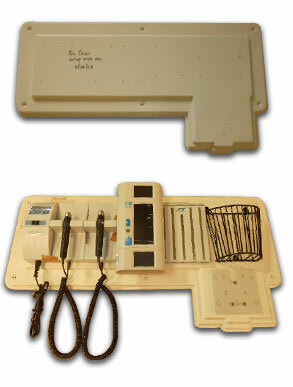 Offers short-term low cost testing of designs and market acceptance through the use of temporary tooling. Cost effective way to produce large panels, housings, enclosures or similar parts. Project costs are usually much lower than other processes. Allows for cost-effective short production run. High Volume production is our market niche. Give us a chance to meet and exceed your expectations. This video gives you an idea of how one of our three station rotary former can do high volume production runs.